Surrey is probably best known for having lush, rolling countryside to explore, but it also has a rich history which has led to an equally rich supernatural air to the county. 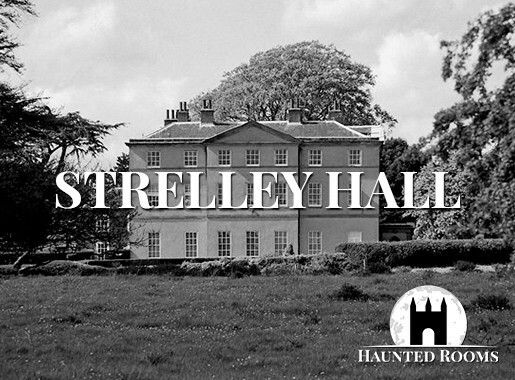 If this sounds more like your idea of exploring than going on a nature hike, then you are definitely going to want to take a closer look at the paranormal hotspots of haunted Surrey! Selhurst Park is best known as being the home ground of Crystal Palace Football Club, but did you know that is has an eerie secret past? In 1932, Crystal Palace goalkeeper Billy Callender tool his own life by hanging himself in the grounds. Since then, his troubled soul has been said to haunt the football ground. 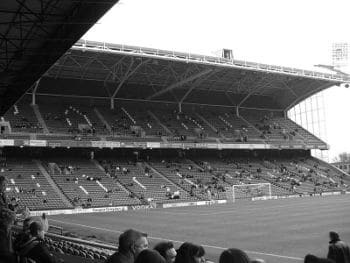 Selhurst Park is also said to be cursed! In the seventies, the then manager of the club – Malcolm Allison – engaged the services of a psychic called Romark with the hope of finding out how to boost the team’s performance! However, there was some kind of dispute over the payment of Romark’s bill and it is said that the psychic placed a curse on the football club in retribution! We usually expect to hear paranormal sightings from old hospitals, castles and stately homes. However, it seems that Sussex ghosts do things a little bit differently! The town of Reigate is home to Knights Department Store. 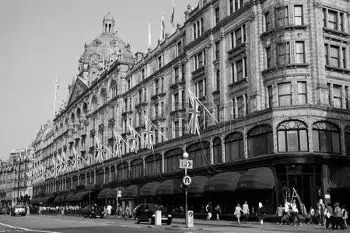 As one of the town’s oldest stores it has become something of a landmark, but people seem to forget that it was once a hotel. 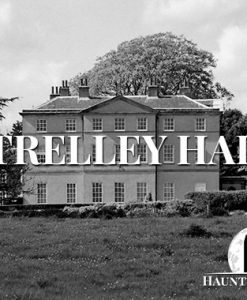 It has become a popular spot for paranormal investigators who are eager to make contact with ‘Tommy’ a little boy who was murdered there when it was still an operational hotel and who is believed to still haunt the property to this day. There are also reports of orbs and spirit lights within the property. If you are a fan of motor racing, then maybe you will already know that on February 15, 1913 race car driver Percy Lambert managed to achieve the land speed record of 103.84 mph at Brooklands Racetrack. On achieving the goal, he promised his fiancée that he would not attempt to break his own record. However, the need for speed proved to be too much for Lambert and he attempted to do just that. He blew out a tyre during his attempt and he died in the resulting crash. 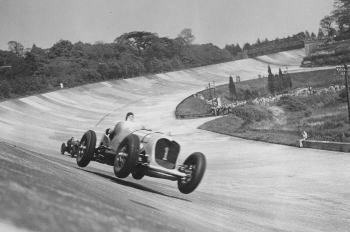 To this day his spirit has apparently been seen pacing the track or walking into ‘The Vatican’ which is the name given to the large hangar where his car would have been stored. Whenever he is seen, he appears to be wearing the full race gear of the era – leather coat, cap and googles. Other witnesses have reported seeing him drive a ghostly car and also report hearing his engine roaring around the track as though he is forever destined to continue chasing that land speed record. Some of the best paranormal occurrences seem to take place in the unlikeliest of spots. 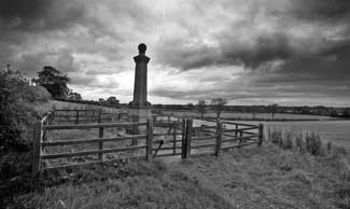 One of those spots just happens to be among the most haunted places in Surrey. Haroldslea Drive in Horley is home to an unexpected haunting which sees an entire troop of soldiers marching through the area. The reports of this paranormal event state that a phantom bell starts to toll at sundown and gradually increases in volume until midnight when a small army of men pass through Haroldslea Drive and head for Thunderfield Castle which is believed to have been a resting place that King Harold’s men would have used while on their way to Hastings. The Punchbowl Inn is located in an otherwise quiet Surrey village called Oakwood. 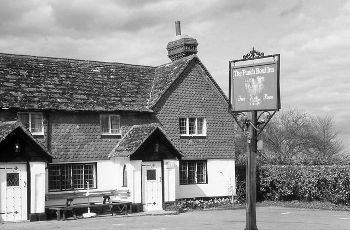 It may not look all that creepy from the outside, but this is reportedly one of the most haunted pubs in Surrey! There are various interesting paranormal tales that ate linked to The Punchbowl Inn, including the landlord who is not yet ready to give up his bar! There have been many reports that an older man with a beard is often seen wandering the pub. He has a weakness for the barmaids it seems, because they are always getting touched by unseen hands! He believes that he is in charge of the pub and often ‘calls time’ at the end of the night! The former landlord is certainly not the only paranormal occurrence in The Punchbowl Inn! It is also alleged to have a spectral dog who likes to lay by the fire on cold evenings. It has even been reported as growling at anyone who approaches before vanishing into thin air! The restaurant area has had reports of a grey lady dressed in crinoline dress circa the 17th century and the kitchen door is frequently opened by an unseen entity. In fact, this last one is so common that regular customers barely even bat an eyelid when it happens! Customers and staff have also reported jiggling door handles, creaking floorboards and heavy footsteps when nobody is there! All of these ghostly occurrences point to The Punchbowl Inn being one of the most haunted places in Surrey, and that is even before we mention the paranormal activity that is linked to the field opposite the pub and the former pig stys behind it! 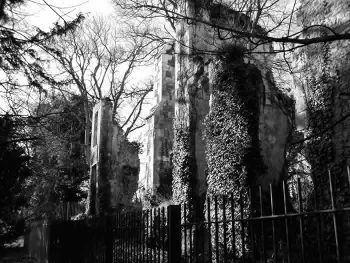 The haunting of Betchworth Castle is especially tragic. The story goes that one of the prisoners being help captive in the fortified manor had managed to escape and Lord Hope, who owned the property at the time had chased after him. He spotted a figure lurkign in the shadows and immediately ran him through with his sword. However, after the fact he learned that it was actually his own son that he had slaughtered. Strangely enough, it is not the spirit of the boy who seems to hang around Betchworth Castle, but rather Lord Hope himself who is said to wander the grounds constantly wringing his hands in despair. 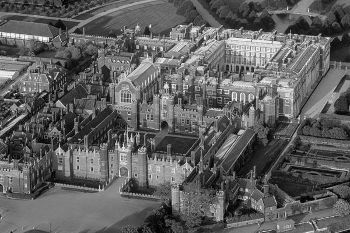 The impressive Hampton Court Palace is one of the most well known, not to mention most haunted places in Surrey. 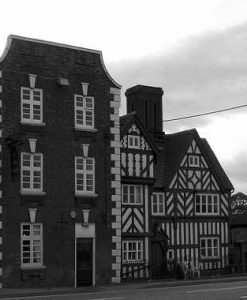 This was once the home of Henry VIII and it is known to be not just one of Surrey’s most haunted buildings, but also one of the most haunted in England as a whole. 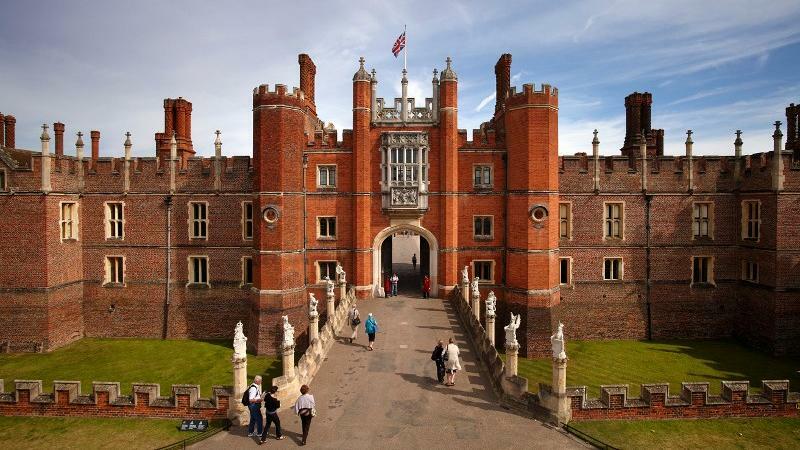 There are many different spirits who are reported to call Hampton Court home including two of Henry’s ill fated Queens – Kathryn Howard and Jane Seymour! Jane is most often sighted climbing the stairs of the palace dressed all in white and carrying a lit taper to light her way. However, Kathryn’s ghost is far more terrifying to visitors! History buffs will recall that Kathyrn was beheaded for allegedly being unfaithful to the King. It seems that she is doomed to relive that fateful night when she was arrested, because her ghost is seen shrieking and running to the chapel in search of refuge, much as she is said to have done that night. Another one of the many ghosts that are alleged to inhabit Hampton Court is Sybil Penn aka the Grey Lady of Hampton Court. There are sightings of her recorded as far back as 1829 which incidentally was when her tomb was disturbed! She was a servant to the Tudors and served as a nurse to Prince Edward and Elizabeth I. She even cared for Elizabeth I when she had small pox despite being sick with the disease herself and ultimately dying a short while later. She is said to spin at an antique spinning wheel in the palace and also frequently visits the Clock Court and the state apartments. You may also have heard of another of Hampton Court’s famous ‘ghosts’. This one has been nicknamed ‘Skeletor’ due to his skull like face and the video captured on CCTV of him went viral in 2003 all over the world. At first, people believed this to be the ghost of King Henry VIII himself, but the footage was later debunked as a hoax. The Georgian House Hotel was built in 1756 and it is suggested that soldiers and noblemen may have stayed here when Bonnie Prince Charlie set up his camp in nearby Derby. However, it is not them who visitors have spotted roaming the corridors. 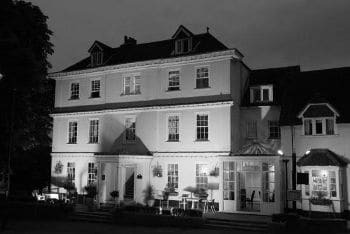 The ghost that is often reported in the hotel is that of a former guest – a well dressed man in a pin striped suit. He has a habit of slamming doors and likes to move things around and cause items to fall off of the shelves that they are on. 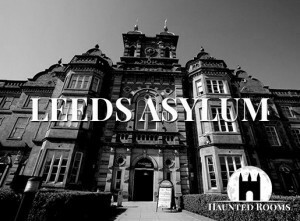 His hauntings seem to be particularly focuses on two rooms – number 10 and number 12, so be sure to request those if you want to increase your chances of a paranormal experience if you have the opportunity to spend a night or two here.